Bhagavad Gita Art Gallery--Plate 21: "One should meditate on Me within the heart and make Me the ultimate goal of life.". "One should meditate on Me within the heart and make Me the ultimate goal of life." 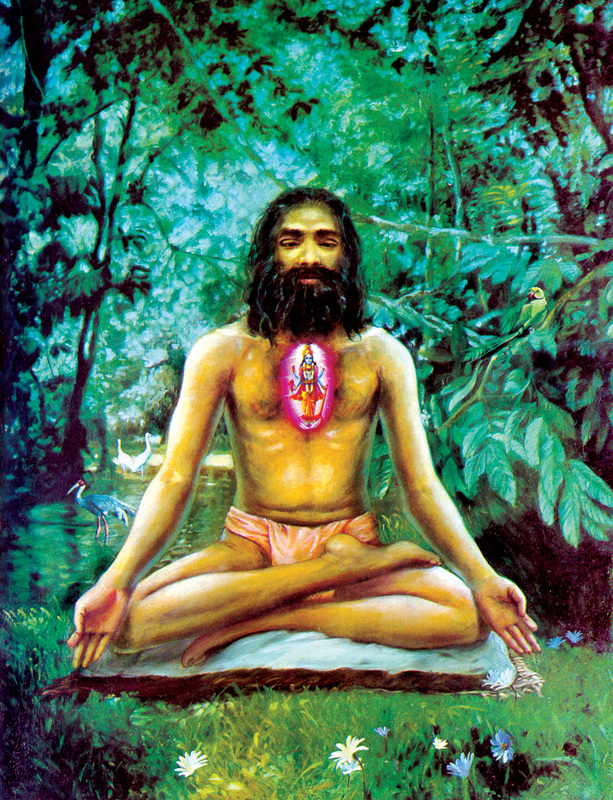 PREVIOUS Bhagavad-gita 6.11-14 The goal of yoga is seen as Visnu in the yogi's heart.